Discovery Early Learning Centre is dedicated to providing opportunities for children to learn and grow in a supportive and fun environment. 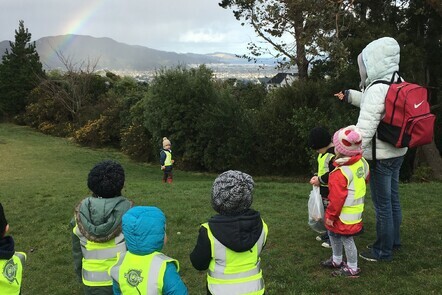 Located in Kelson, we are a community-based centre providing quality early childhood education to the Lower Hutt community. We provide care and early childhood education for children of 2-5 years. Our staff are qualified or in training early childhood teachers and have years of experience working in early childhood education centres. Opened in April 2007, Discovery’s bright new purpose built centre has been established by the Discovery Christian Centre Trust. At Discovery Early Learning Centre we aim to integrate Biblical truths with life in ways that children can relate to and understand. Each child is an individual and will be allowed to develop at their own pace and according to their own ability. 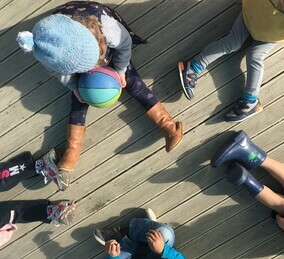 As each child is unique with God-given potentialities, it is the task of the centre to help discover those gifts and develop them. We believe, therefore, that the educational programme should expose children to a wide variety of early childhood experiences. 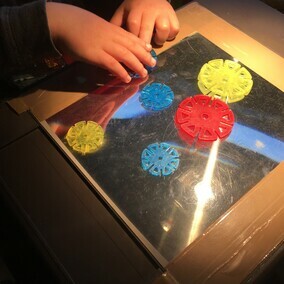 We believe that it is essential for children to develop in a secure, caring environment that is stimulating and encouraging with well-defined boundaries of behaviour. We recognise and believe in the vital partnership between the teachers and family/whanau, together sharing responsibility of their child’s learning, growth and development. Join Us at Bush Kindy!